Daylite allows you to use your time wisely and focus on what matters. Track all the moving parts, be more effective, execute on all your plans. Keeping track of the little details, things to do, and little steps can seem daunting when it's all in your head or on scraps of paper. 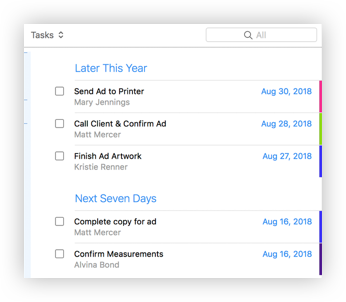 Daylite helps you organize all the different steps, people, decisions, and emails and tiny details of each project – all in one place. Stop feeling “busy” and start making progress. You don’t have to spend all day working on things, and feel like you’re not moving forward. 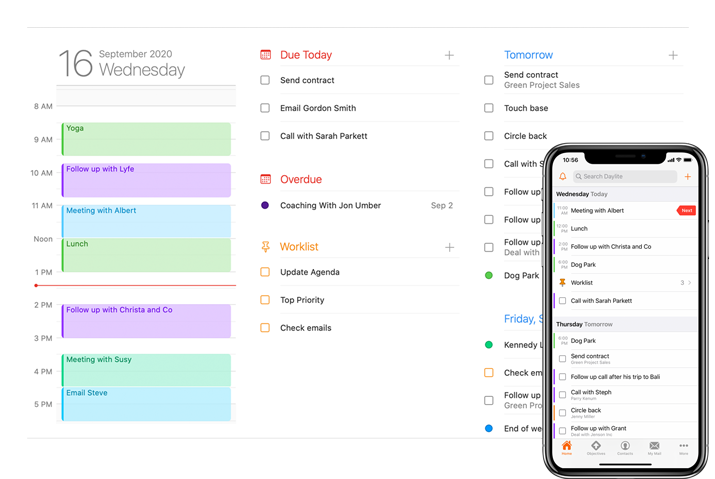 Daylite helps you organize everything you have to do so you can see it all, prioritize everything, and focus on what's most important. Sticky notes don’t jump out and remind you when they’re due. 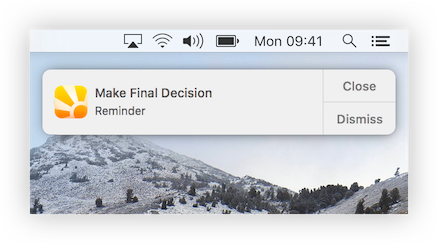 Set reminders for your tasks and appointments so Daylite alerts you when you need it. 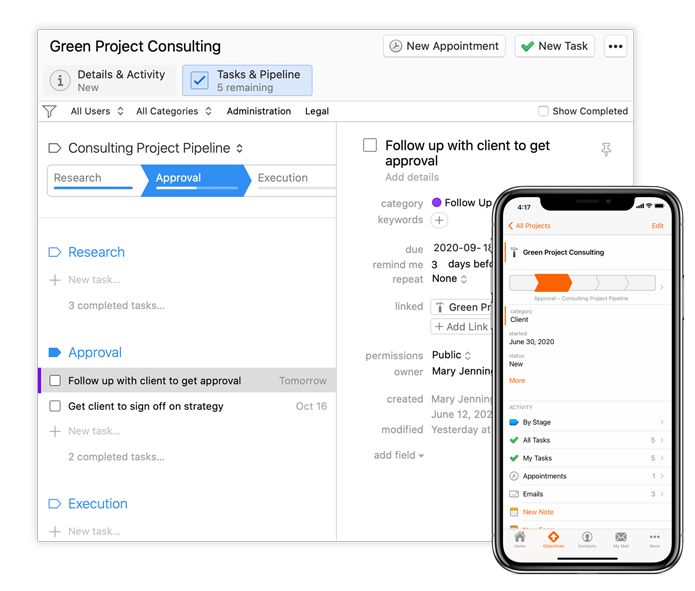 View all your tasks and project due dates on your calendar so you manage your workload better, give yourself enough lead time and don't over commit. Don’t risk getting off track and missing your deadlines. Get visibility on what needs to be done next, by who, and by when so you can be confident things are done on time. When everyone is doing things their own way, you end up with a ramshackle of a process and that costs you money. 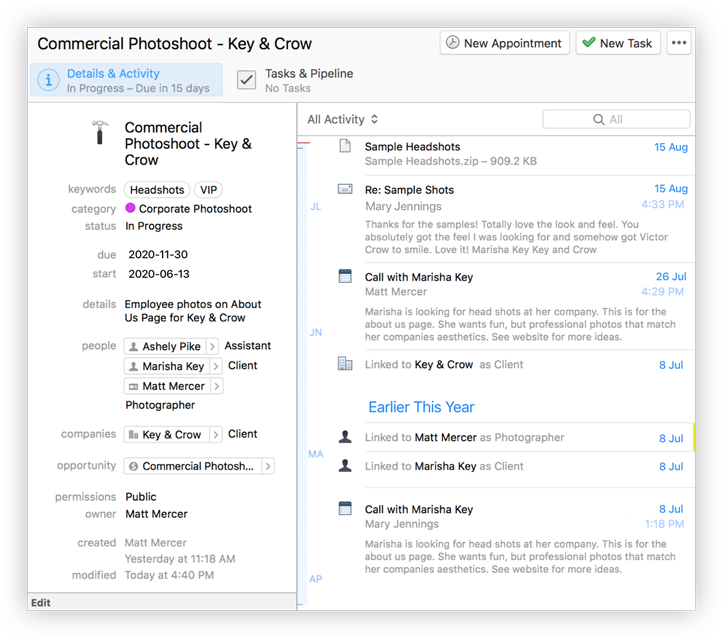 Daylite helps you define and refine your processes to make sure everyone is following the right steps. 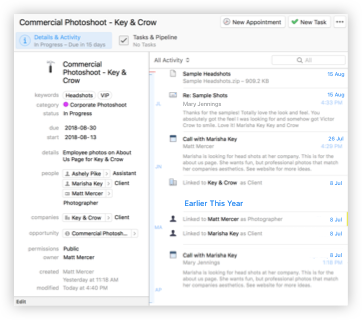 Improve your efficiency and make sure things are done right. "With Daylite, we can spend less time thinking and spend more time executing"
Join the small businesses executing on their plans with Daylite.